A lack of cool air essentially turns your system into a very expensive fan and worse. For sure it can actively damage individual component, leading to expensive repair calls in the future. Here in Los Angeles our hot days aren’t over just because the summer has ended. The sooner you can get a repair service to address these causes of warm air, the better off you’ll be. The good news is that a trained technician can usually track down the reason for a lack of cool air in your air conditioner. Few signs of trouble in your air conditioner are more obvious than turning on your system and feeling warm or lukewarm air coming through your furnaces. The most common cause of warm air blowing from your system is low refrigerant. Refrigerant isn’t supposed to leak and your air conditioner actually needs very precise amounts of it in order to do its job. But it happens. You can spot signs of a leak by noticing a build-up of ice on your evaporator coil. Don’t try to scrape it off: you could damage the coil and the problem won’t be fixed until a technician isolates and seals the leak before recharging refrigerant. In case you don’t change your filter in a while, excess dirt can cake on your evaporator coil, which interferes with the cooling process and again causes ice to form on the coils. You can replace dirty filters yourself or have a technician do it as part of a regular service call. Compressor failures are rare, but when they occur, they are cause for serious concern. Without the compressor the refrigerant gases can attain the heat or pressure they need to do their job. In fact it’s impossible to fix compressors and if this is indeed the trouble, your repair technician will probably need to replace it. 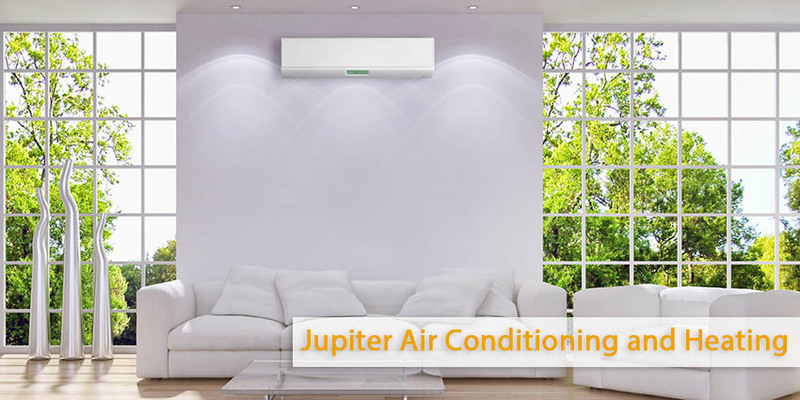 In case of similar problems or any other problems with your air conditioning system, turn to Jupiter Air Conditioning and Heating. Our trained and experienced specialist will help you in the best way possible.